After bringing a few albums from Greece under my attention, Inner Ear Records now has released an album from Cyprus. For this blog a 100% novelty, so full of enthusiasm I started listening to Beaming Light, with its extremely colourful cover art. Freedom Candlemaker is the name Lefteris Moumtzis took on to present his first solo album under. The name is close to his own as it is a literal translation of his Greek name. Moumtzis has been active under different names and guises for many years, in rock, folk and traditional Greek folk music, rembetico. According to the accompanying bio this album is more upbeat than any of his previous work and lets in the light. That makes me wonder what his previous work sounds like, being not familiar with it, as Beaming Light is a subdued album where happiness and light are not easy to find. Beaming Light also has two distinct sides to it. 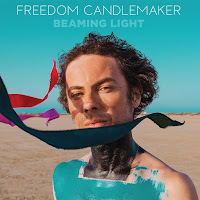 On the one hand Freedom Candlemaker tries to connect to an international pop feel while on the other there is a firm recognition of alternative rock music. This makes Beaming Light a balancing act between let's say Coldplay and Radiohead. The common denominator being arena's and larger venues of course. Ambition is a good thing. This balance makes Beaming Light a slightly off balance album. Something that is made up in a positive way, otherwise I would not have been writing on the album. This album holds some fantastic alternative rock songs, some containing violins as a lead instrument played by Fotis Siotas and Dimitris Hatzizisis. Songs where the mood is so right. This compensated more than enough for the few songs where the pendulum, for me, swings the other way. 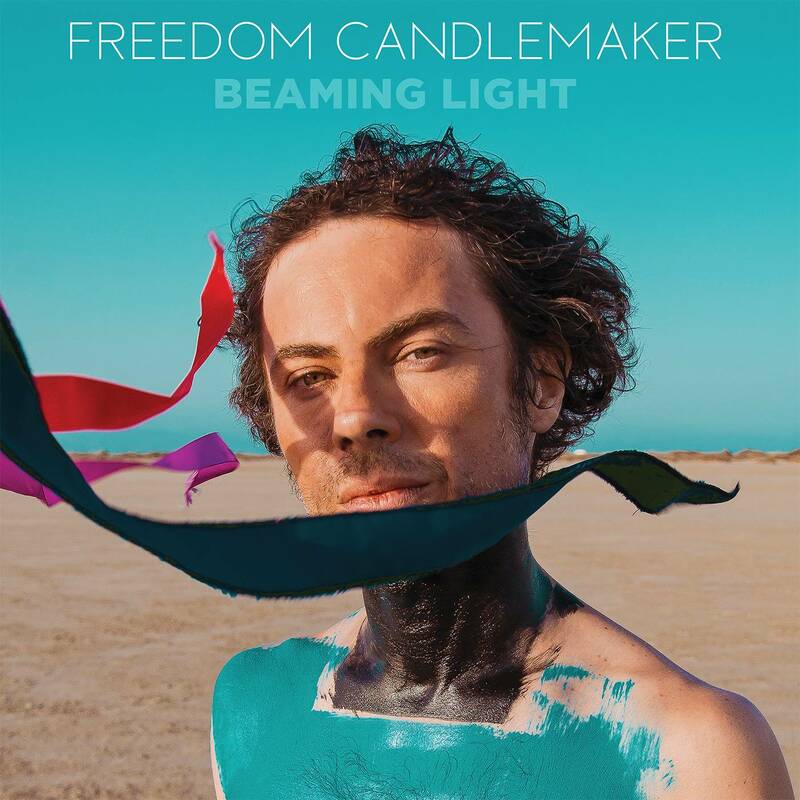 Freedom Candlemaker manages to play with moods within songs by adding interesting sounds and lead melodies. Almost completely without using force. Most of the songs are subtle but full of inner strength. There's no hiding the rock intentions, but it is never overdone. At the strongest moments the songs are blends of instruments, like the firm, strong, thick brushstrokes of a COBRA painter like Karel Appel. It is in the songs where Lefteris Moumtzis addresses his inner alternative rocker the most where Freedom Candlemaker packs me in. Even in an empty song like 'Unfulfilled', more atmosphere than rock song, the band totally convinces with the dramatic and hesitant music, yet promising a full release with the addition of a floating 80s lead guitar. Whether the release with full bass and drums really comes or not is inconsequential. This is just so well done. There are several songs on Beaming Light that are this interesting. With so many fine details. It just makes me wonder why the first few songs on the album come across so differently. Without them Beaming Light would have been utterly brilliant. Now it is very good, which is a good score.